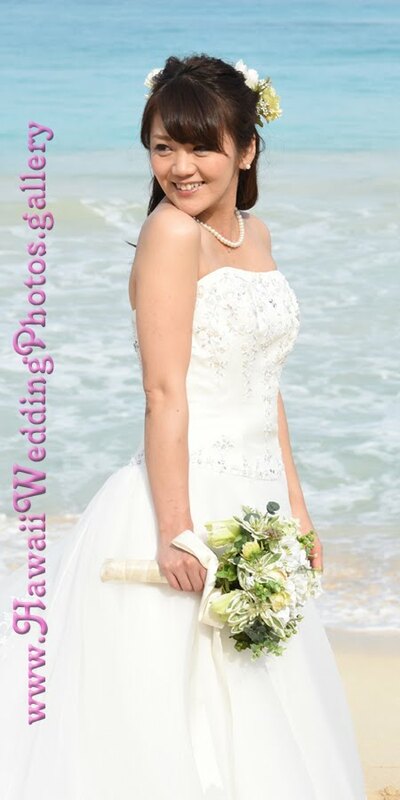 Beautiful shot of Japanese Bride AKI with her pink silk-flower bouquet in Waimanalo, Hawaii! 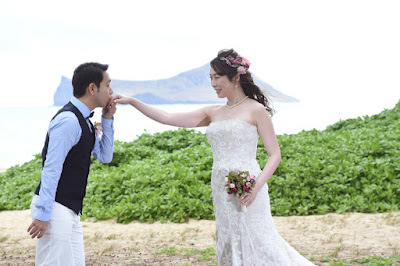 Stunning wedding dress! 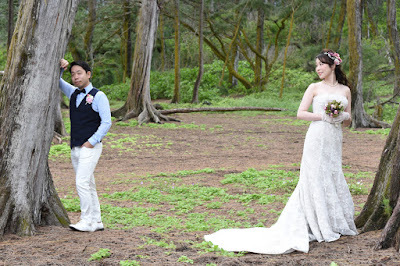 Great choice of attire. Japanese honeymoon couple Sho and Aki stroll on the beach at Waimanalo Bay. 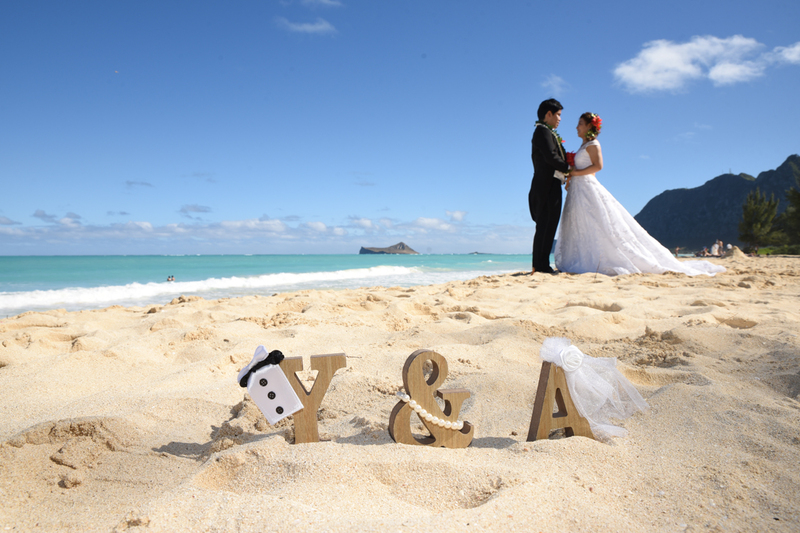 Take a moment to draw a heart in the sand. It may seem silly, but trivial things like these make the photos come out nice! 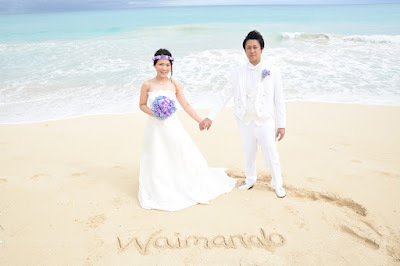 Romantic honeymoon photo tour at Waimanalo Bay with Japanese couple Toshiaki and Mayo. Got a few photos at Lanikai on a rainy December day, then we moved our photo shoot to Hilton Hawaiian Village. 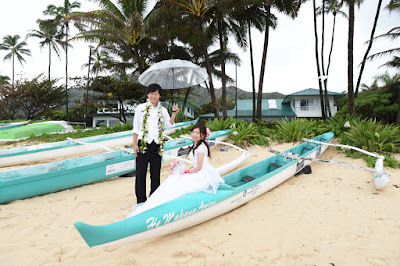 Nice backup plan in wet weather. Don't let the weather get you down! 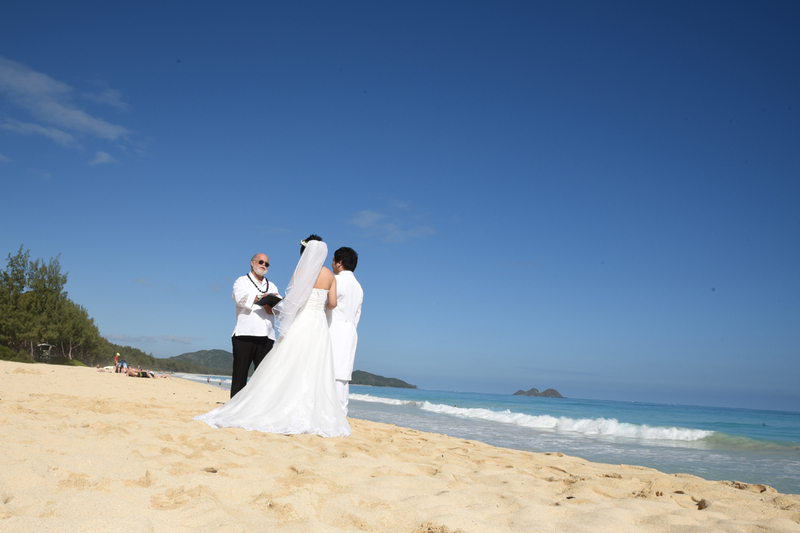 Just keep shooting beautiful photos in between rain showers at Waimanalo Beach. 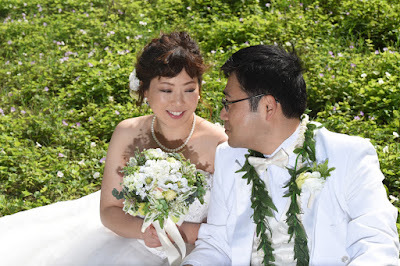 Aki and Yoshimichi tie the knot at Waimanalo Beach in East Oahu. 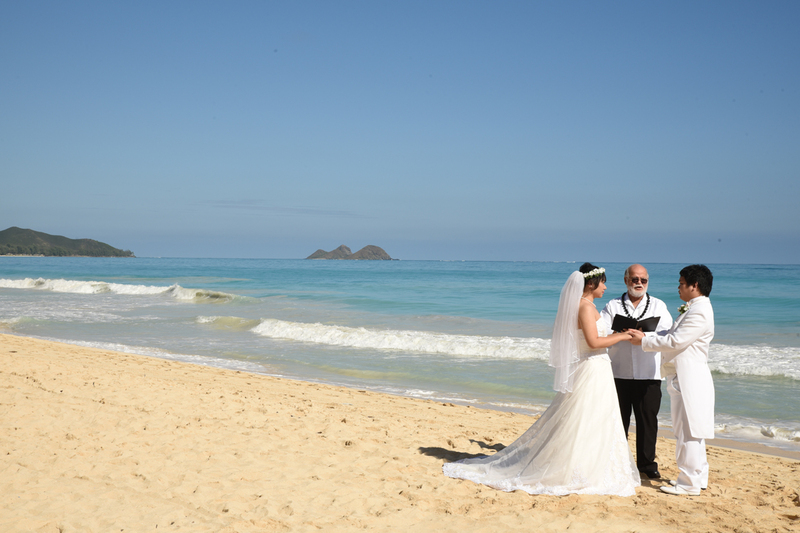 Wedding ceremony performed by Rev Dan, photography by Robert Hamilton. 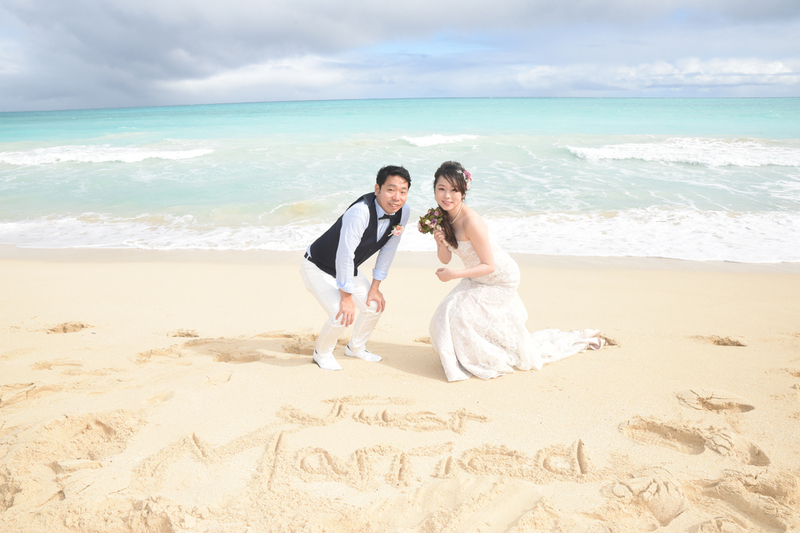 Lovely day for a walk on the beach with Yuya and Yuka. Their names are just one letter different. Today's weather gives us plenty of baby blue. 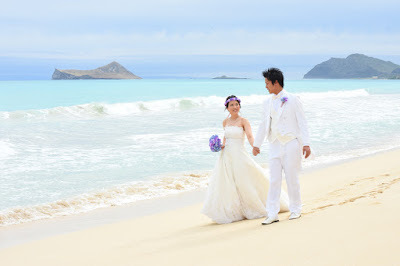 Photo color depends a lot on the location of the sun, how many clouds are in the sky and the time of day. 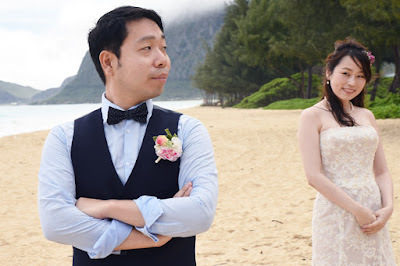 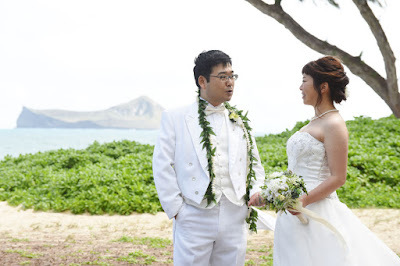 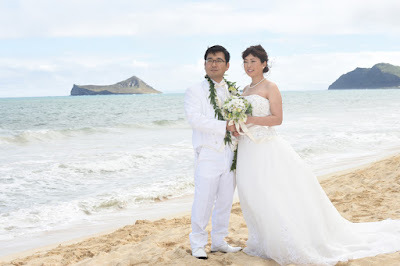 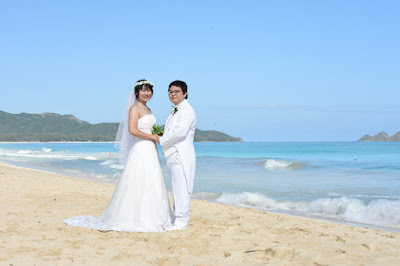 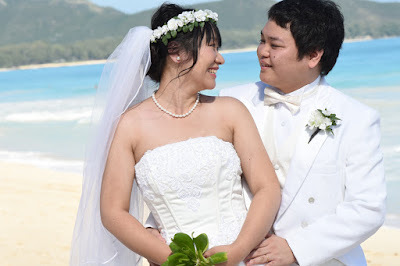 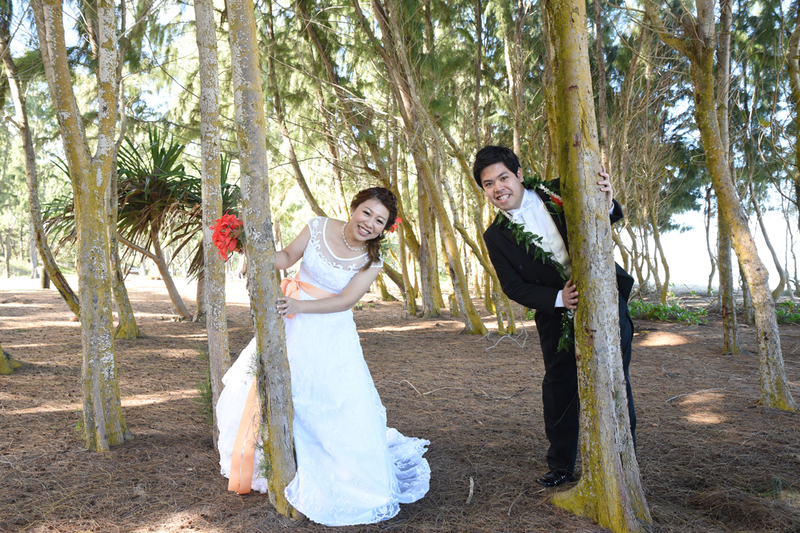 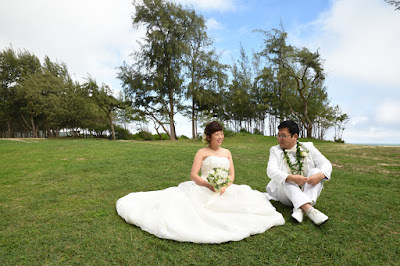 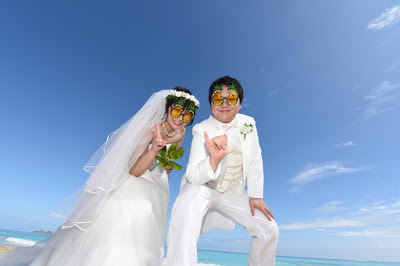 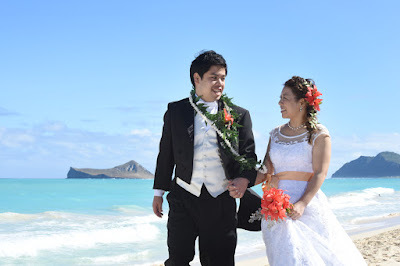 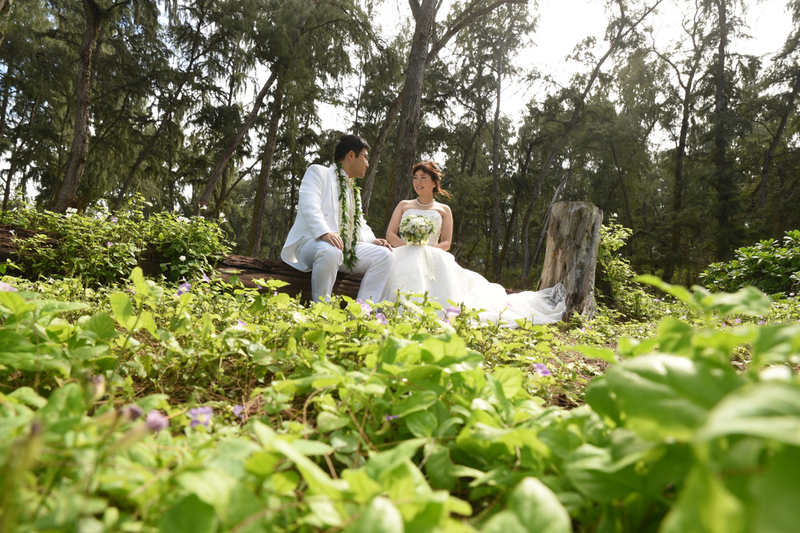 Takuro and Sayuri have their wedding on the beach at Waimanalo Bay. Photographer Robert is there to capture the precious memories on camera.